Will Bass Pro Shop Gobble Up Cabelas? What do you get if you combine Bass Pro Shops with Cabelas? How about sensory overload and a mega store with more outdoor gear than you could possibly dream of? Citing unnamed sources, Reuters reported that Bass Pro Shops — with the help of the private equity arm of Goldman Sachs — will make a bid for the Nebraska-based outdoor retailer. Cabelas stock immediately soared to more than 6 percent to close at $52.51 a share, putting its market cap at nearly $3.6 billion. Both stores have earned reputations as Disneyland for sportsmen with huge inventories featured in megastores offering aquariums, exhibits, entertainment and a generally mind-boggling experience. For example, Bass Pro’s giant pyramid store opened last year in Memphis features a 110-room hotel, a bowling alley and shooting gallery, a man-made cypress swamp and live animal attractions. Bass Pro and Cabelas are generally regarded as the number one and number two big box outdoor retailers in North America. Together they would form a giant worth upwards of $7 billion. “The move gives Bass Pro the equity financing necessary to pursue Cabelas and makes such a deal more likely, given the potential cost savings and synergies a combination of the two U.S. hunting and fishing retailers would bring,” according to Reuters. But just how would such a mega-combination impact the outdoors industry? Insiders say it would probably not be that noticeable to customers, speculating that Bass Pro would keep the Cabelas brand. That is how Bass Pro handled acquisition of the Ranger, Stratos and Triton boat companies in 2014. However it would give Bass Pro Shops unprecedented leverage and buying power with manufacturers. But hold on, it’s not a done deal. Bass Pro isn’t the only company hungrily eyeing Cabelas. 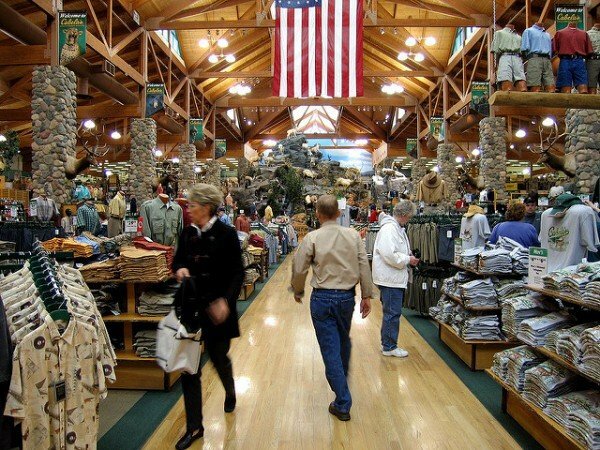 Guggenheim Securities LLC (an investment bank) has been working with Cabelas to find a buyer since last fall, and other buyout firms are reportedly interested. So the lure is out there and being reeled in, but it remains to be seen which big fish takes it first.